An accomplished basketballer, Gown turned his focus to football and put together a very strong TAC Cup season for Gippsland Power in 2018, booting 31 goals from the final 14 games of the year to finish third in the league’s goalkicking. In those games he was listed in the side’s best players on 13 occasions, proving to be a dominant force for the team and rightfully winning the best and fairest. 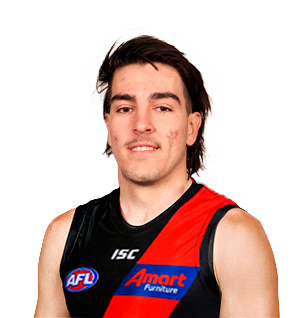 The strong marker, who was selected with pick 60 in the 2018 NAB AFL Draft, is an imposing target in attack and is expected to learn plenty from fellow forward Joe Daniher in 2019. And at 194cm tall, the 18-year-old will be sure to make his presence felt in his first year at The Hangar.